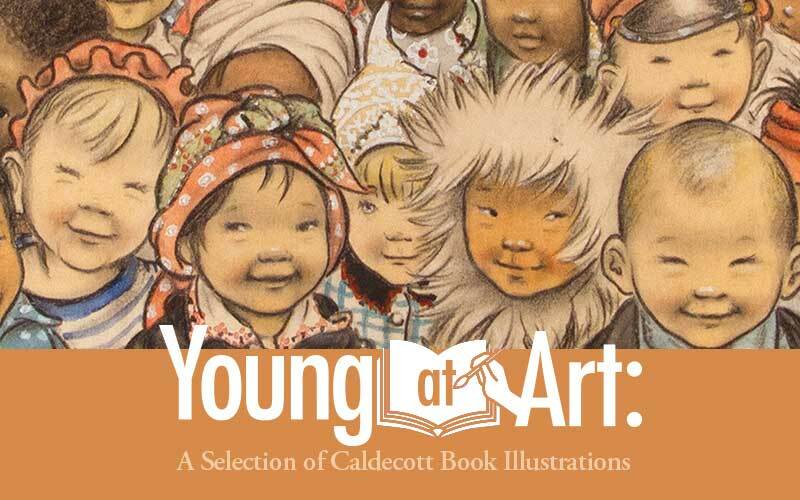 This exhibit includes original illustrations from Caldecott Medal recipients and from “runner-up” Honor books, as well as other illustrations by award-winning artists. This exhibition of works from Wichita Falls Museum of Art’s permanent collection celebrates the vision and talent of twenty-eight award-winning artists, including the first Caldecott Award recipient Dorothy P. Lathrop (1938), two-time winner Chris Van Allsburg (1982, 1986), and Maurice Sendak (1964), whose work Where the Wild Things Are, like Van Allsburg’s Jumanji and The Polar Express, was adapted for the big screen. The exhibit will run through March 3, 2019. These illustrations are widely recognized not only as artistic classics in children’s literature but also as the source of countless beloved memories for the young and young at heart. Curated by Danny Bills, curator of collections and exhibitions at Wichita Falls Museum of Art, and organized by Wichita Falls Museum of Art at Midwestern State University, Young at Art is part of ExhibitsUSA, a program of Mid-America Arts Alliance.